WUHU Cash Song of the Day is back! Each weekday, WUHU 107 will conduct an on-air contest to give away $100. 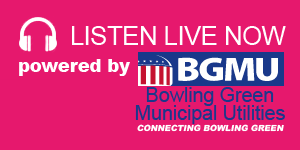 At 7:10 and 9:10 The BG Morning Show will tell listeners the name of the Cash Song and the approximate time it will play. When the song plays, the 10th caller wins! The Game will be played once a day Mon-Fri April 15th-May 24th.